I hope you all had a wonderful Fourth of July, spent with friends or family--or just enjoying the holiday on your own. I remember all the years when our kids were growing up, when our extended families were at least five hours away, and many of the holidays were spent by ourselves. I always tried to make every holiday special and fun, but being with a bigger crowd makes the day more fun, doesn't it? Now our kids are all married, and two have moved far away, but we feel so blessed to have one son and his family less than an hour away. Further blessed, because he married into a wonderful family that includes my husband and I in their holiday gatherings if the rest of our kids and grands haven't made it home. Yesterday, we had a lovely time with son Brian's family and his extended "in-law family"at their Fourth of July potluck and then enjoyed a small town parade. A Norman Rockwell sort of holiday to be sure, and we enjoyed every minute. Then in the evening, we joined dear old friends--Judy and Bill--to watch fireworks from their pontoon boat. A beautiful, cool evening, and delightful company. But not everyone on the lake had such a pleasant time. We were cruising the lake when we suddenly noticed people on the nearby shore shouting at us and waving desperately toward a distant, isolated cove well away from the usual path of boat traffic. We headed straight for the cove and discovered two young families--three small children crying desperately in one canoe with one adult, but three other adults clinging to an overturned canoe. The woman clinging to that canoe looked exhausted, scared, and her husband looked just as frantic because she was at least eight months pregnant. Bill drew along side and we pulled the woman into the boat, then soon had her terrified kids with us as well. Once another boat approached, Bill managed to get the overturned canoe righted, then rolled to dump out the water. DNR officers and yet another pontoon showed up, and the family was taken back to the rental place. Whew! What a day for that poor family--instead of enjoying a festive holiday, the day could have so easily ended up in tragedy if the pregnant woman hadn't been wearing her a life jacket. Bill's quick thinking and experience made all the difference for that family--but as Judy said later, she'd had no doubt. 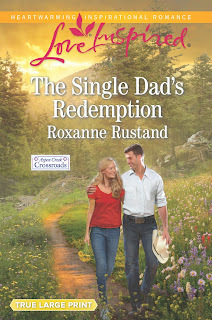 He'd been an Eagle Scout and knew how to handle emergencies like this one. Which made me glad once again that both of our sons got their Eagle Scout ranks, and gained a variety of experiences both on the water and wilderness camping! I would love to hear about your holiday. Did you have fun? Did you see fireworks this year? 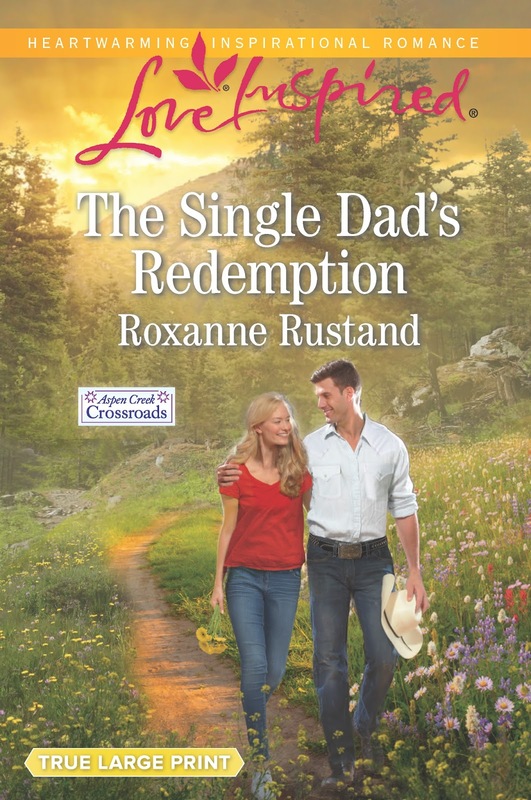 Roxanne's newest book, The Single Dad's Redemption, is a July 2016 Love Inspired release, and is in the stores (and online) right now! We had a very laid back day. Hubby went to bed before the fireworks started. Sounds like a nice, relaxing day! My husband and I are in Northern Ireland, so 4th of July wasn't celebrated. However, we wore red, white, and blue and explored an old castle in Donegal Town. I would LOVE to spend the Fourth as you did! Just love Ireland. Donegal was one of our overnight stops when we drove around Ireland three years ago. I'd love to go back!